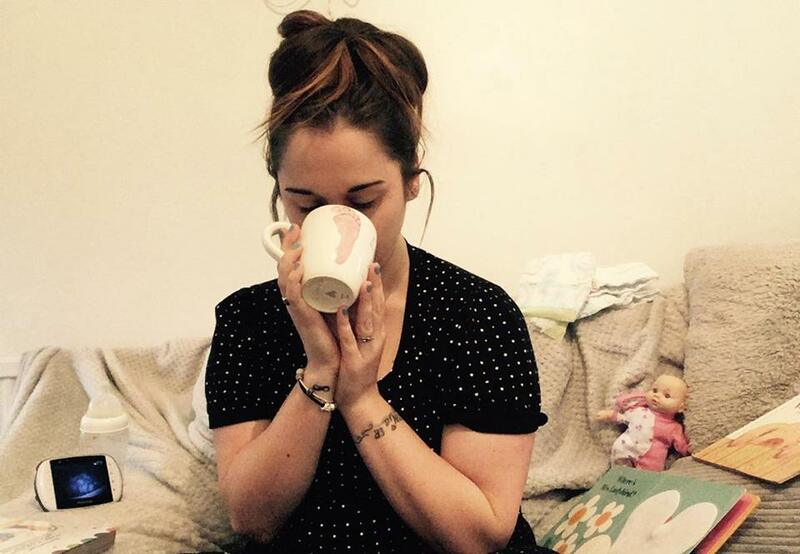 Why Not Sleep Training My Baby, is Helping Now She Won’t Sleep – But First, Tea. Bit of a confusing title isn’t it! Let me start from the beginning… I disagree with any form of sleep “training” that means you go against your natural, motherly instinct. There are a lot of methods out there from full blown cry it out to pick up put down and the moving chair. Some people swear by them and as soon as they turn a certain age, make the decision that today is the day their child will learn to self settle and sleep through night. Whether they do actually learn to do that, or just learn not to waste their energy and tears is a completely different argument that I won’t get myself into. I believe it’s a developmental skill they pick up when ready, like walking, but anyway… I’ll leave it at that! So, Edie was never sleep trained. We’ve had amazing nights where she slept 12 hours and not so great nights recently when 2-4 was party time. Anyway, back to reality. The benefit of my decision to not sleep train Edie, has given me a box of “tricks” for these wake ups. I know that if I cuddle her and sit in the rocking chair, she will snuggle into me and fall back to sleep. I know if she doesn’t need me, she will look for her simba comforter and go back to sleep. If the problem is she’s missing me (therefore won’t let me put her down even if she is asleep) I know that her dad can cuddle her and she’ll drift off again. As Edie’s sleep needs have changed over time, we’ve adapted to them. So she has a lot of ways that she will be comforted. If your baby is used to falling asleep completely on their own, wakes up frightened and in pain… they won’t know that they can fall asleep on you being cuddled, or in your bed. Babies are complex little so and so’s sometimes. Once you think you have it figured out, they turn the world upside down. All I’m trying to say, is, don’t feel too bad when you hear of the mums who sleep a full night because they sleep trained, keep doing you and what feels right. Everything will work out eventually… and then it will change again. There will be a last time that you ever nurse, rock or cuddle your baby to sleep and a last time that they snuggle up to you in bed. So soak those moments in whilst you can in your sleep deprived state and be thankful for caffeine! I have never sleep trained any of mine, and they have all been completely different. My eldest slept through at 6 weeks, and she then decided she needed her own space at none months; she has never shared a bed since – she will be 13 in April. My son naturally slept through in his own bed all night at 5 years old. He loved cuddles and coming into us. He is almost 10. My next daughter still wakes, she is 4. She goes to bed with a story, but won’t stay in her bed. Youngest who is two has slept in her own bed only a handful of times. They are only small for a short time, seeing my now pre-teen going through the anti cuddle stage, makes me appreciate that cuddles wont last forever, I know she will again one day. I think the key is to trust your instincts and to do what works for you and the baby and not everyone else. I did sleep train both of my kids but in very very different ways (I think the concept of sleep training has everyone thinking that the baby is screaming the house down all night which actually isn’t the case). I have many fiends who sleep trained one baby but not the other. You really have to trust your instincts to know what your baby needs (and what you need). I’m totally with you on the sleep training thing, I physically couldn’t do it if I tried (which I would never do). We’ve had periods where our 2.5yo slept through and rougher periods like the past couple of months where waking up 3 times a night isn’t unheard of. Even though I feel like a Zombie at times I still wouldn’t consider sleep training. I hadnt heard of sleep training until recently. I think its like most aspects of parenting…you have to do what us right for you and your family.